Sculptures are commonly understood as hand-crafted figures that are made from materials like plaster, clay or stone. Not in 2016. 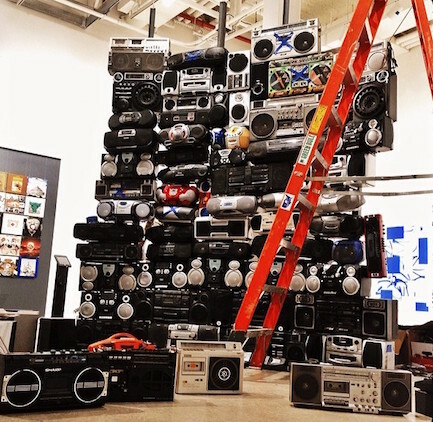 New York City artist/photographer/educator Bayete Ross Smith welds together old boomboxes (and communities, for that matter) in his public art series, called Got The Power: Boomboxes. Channeling empowerment and nostalgia from hip-hop’s golden era, Smith’s monuments are erected in different cities across the country, and play music selections and oral history from the communities’ residents. Public Enemy would be so proud.